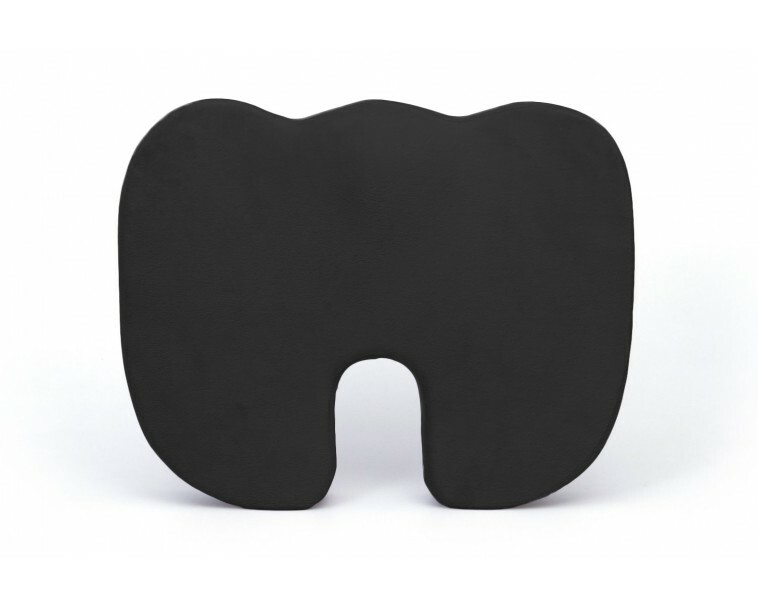 Coccyx Care and Pain Relief Sitting without proper posture, especially for long periods of time, can lead to a myriad of pain issues in your legs, lower back, hips, and tailbone. This can be a common concern of those that have an office job, where they sit in front of a computer all day long, with rarely a chance to stretch out. It is also a hazard of jobs where you drive all day, such as a truck driver or a delivery person. It is especially difficult for those that have to use wheelchairs to keep themselves in the proper position to prevent pain. Most of these common back complaints, and even many common back injuries, can be prevented and alleviated by correcting your body position while you are sitting. 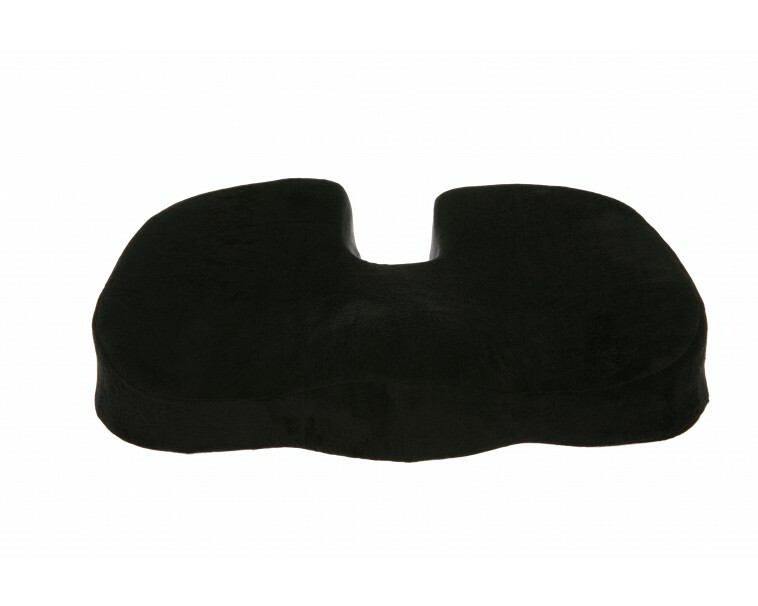 The Coccyx Orthopedic Comfort Foam Seat Cushion, by Deluxe Comfort, does that for you. The incline is ergonomically designed to increase the angle of your knees and hips, holding your body in the proper position for back health. 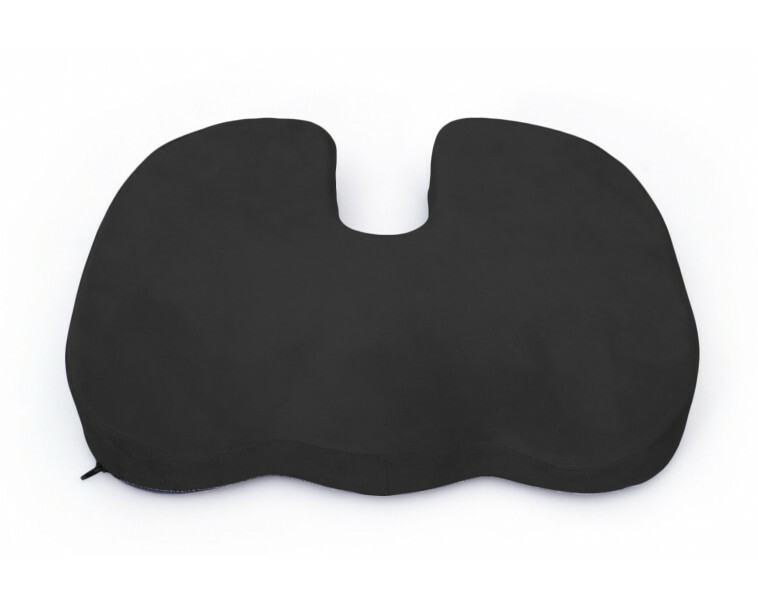 This will prevent pain from occurring, and relive pain that is already present. Your lower back, tailbone and bottom will thank you. You can use it anywhere you sit, including office desks, computer chairs, wheelchairs, and in cars. 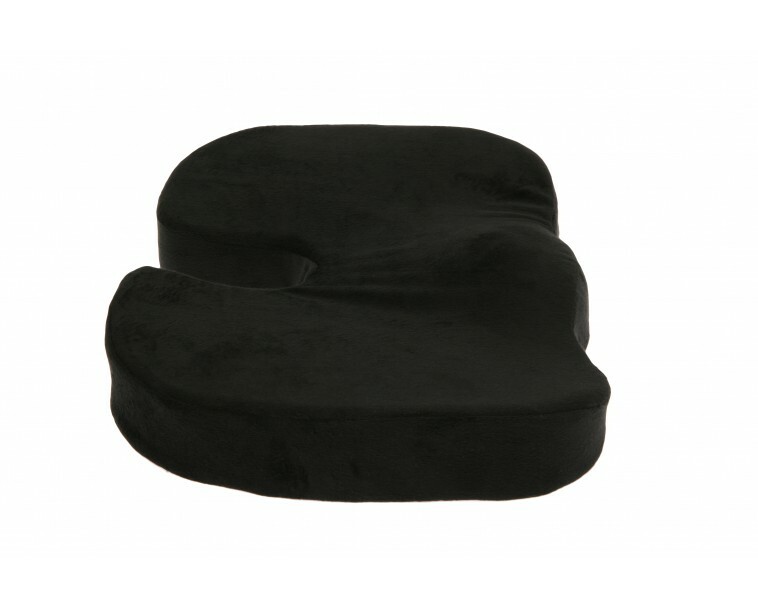 The high quality memory foam molds itself perfectly to the lines of your chosen seat, and to your uniquely shaped bottom. 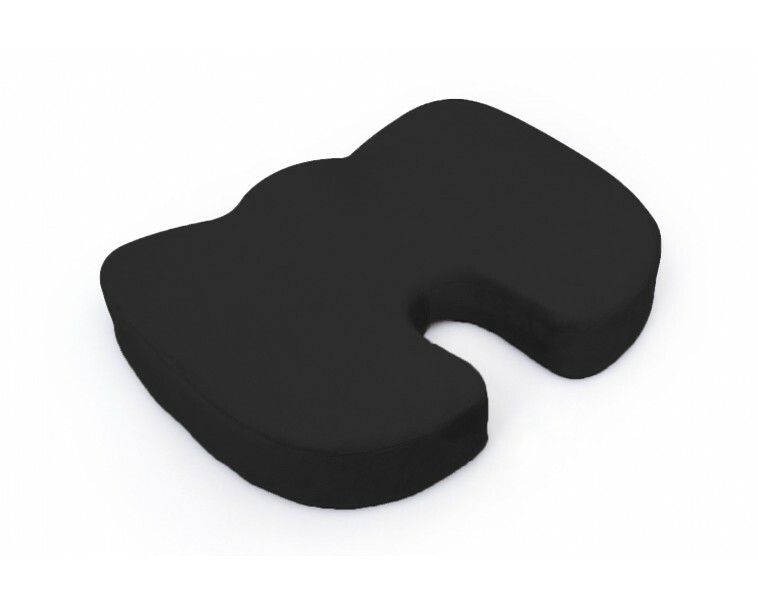 Even those who experience little to no back pain at all will love the soft comfort and firm support of this amazing seat cushion. 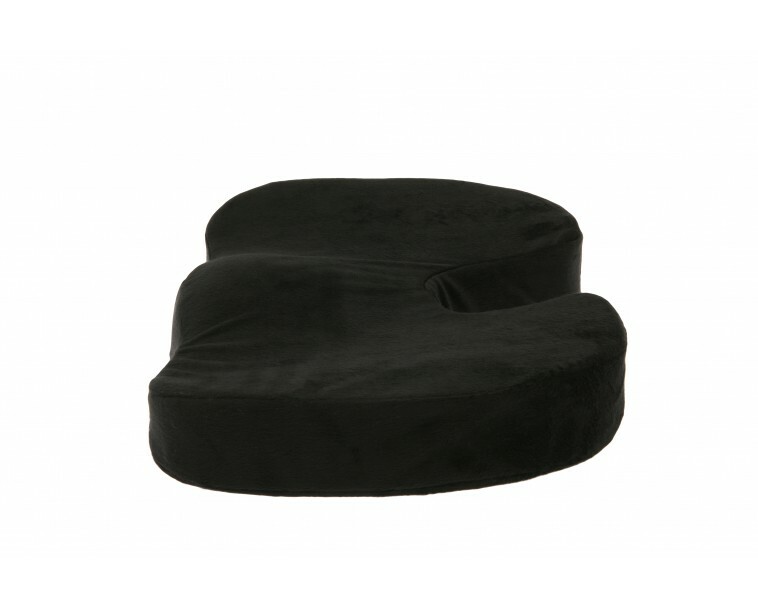 It is lightweight and small enough that you could also easily take it with you for use during travelling. It's sure to make any plane or train ride much more comfortable and relaxing. 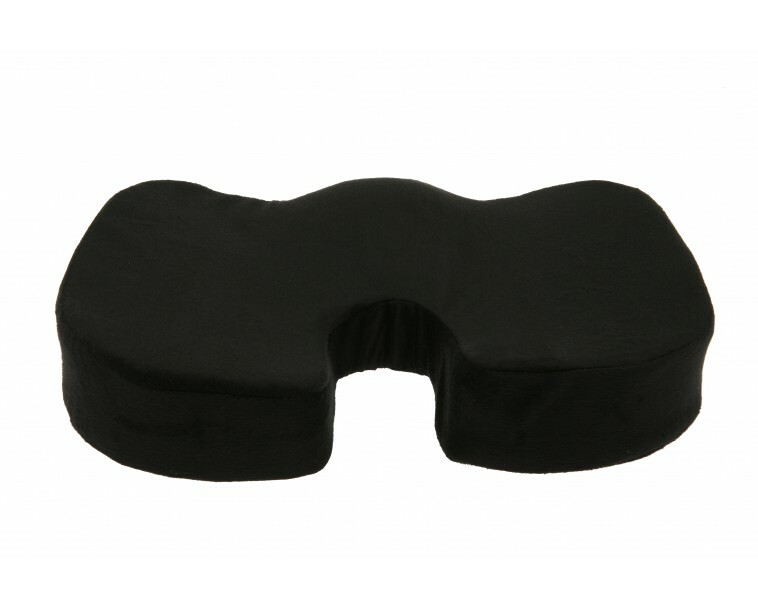 DON'T MISS YOUR CHANCE for a more comfortable and pain free seat - ORDER NOW! !